Big 3 Dinner this Friday 6-7::30 pm! Big 3 Dinner is this Friday!! 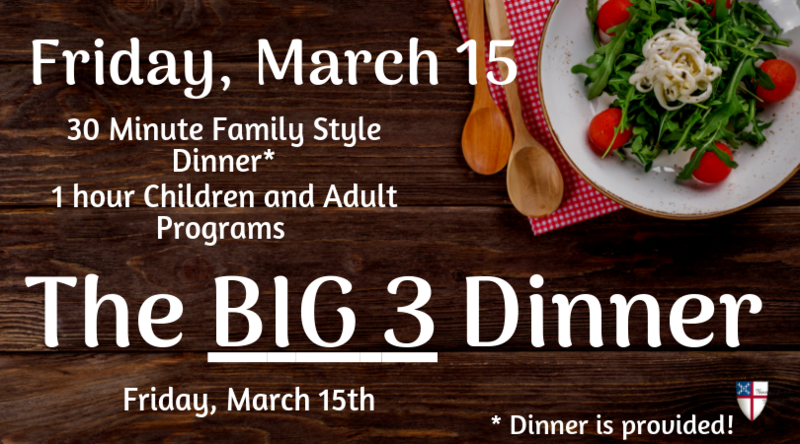 Big 3 Dinner Lenten edition- our next Big 3 Dinner is March 15th. 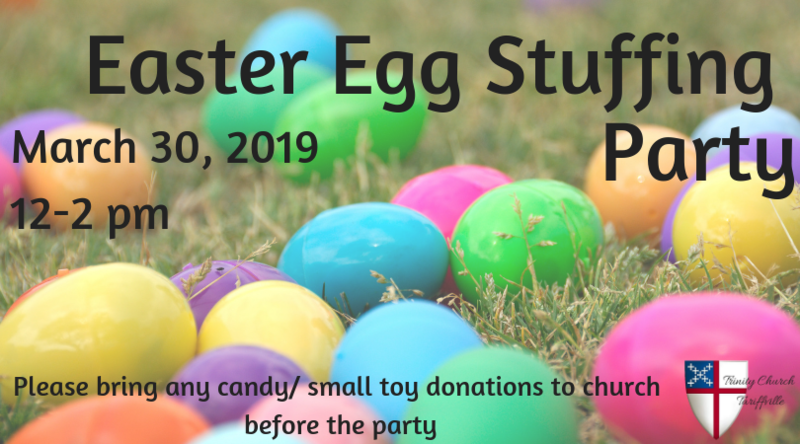 We are going to do Dinner at 6 pm, then the kids will go down to the Youth Room with our Babysitters and the adults will participate in the Lenten program with Fr. Taylor. Youth Group- No Youth group this week, instead we are going to have CPR and First Aid Training with Melissa and Jason Osborne. If any senior high student would like to be trained they are welcome to join us at no charge. The cost will be covered by the youth group fund. Just let Manda know ahead of time. Camp ROAR- Camp Roar already has 14 campers signed up!!! Our goal is 40 campers so keep sharing the registration info with all your friends. The Volunteer registration is holding steady at 11. Thank you all for signing up so early. This year we have started a nursery and preschool group lead by Lindsey and Jake Salomonsson. They are super excited to be leading the charge with this new group of kids. Taking care of these younger ones will also mean that more moms can volunteer as leaders and helpers! Camp ROAR is doing wonderful things already! Take a break from your hectic schedule and be transported to a calm and soul-searching place as we begin the season of Lent. This service is like no other - uncommon and exquisite. The Trinity choir will wrap you in a mix of traditional and contemporary music woven within the beautiful framework of ancient Anglican worship. Stephen Scarlato, from Immanuel Congregational Church, Hartford, CT, joins us again this year as our guest organist and pianist. The service is followed by an English tea reception. 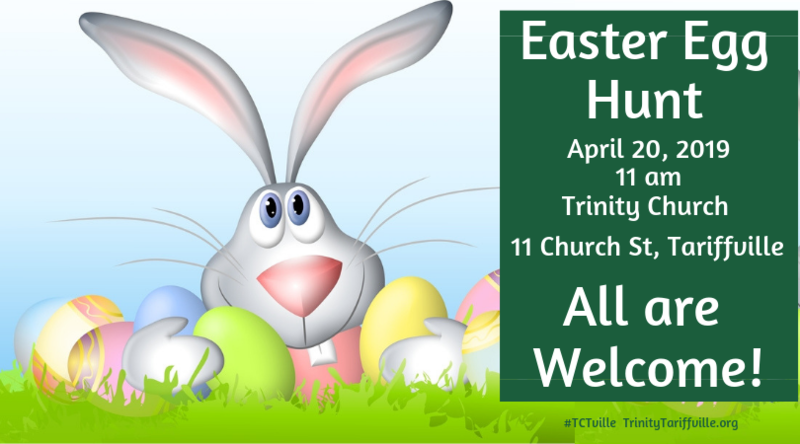 It happens once per year at Trinity, so mark your calendars today! 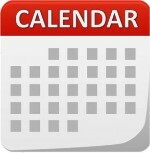 Ash Wednesday, Sunday School, Youth Group, and Camp ROAR! Happy Ash Wednesday Parents and Teachers! 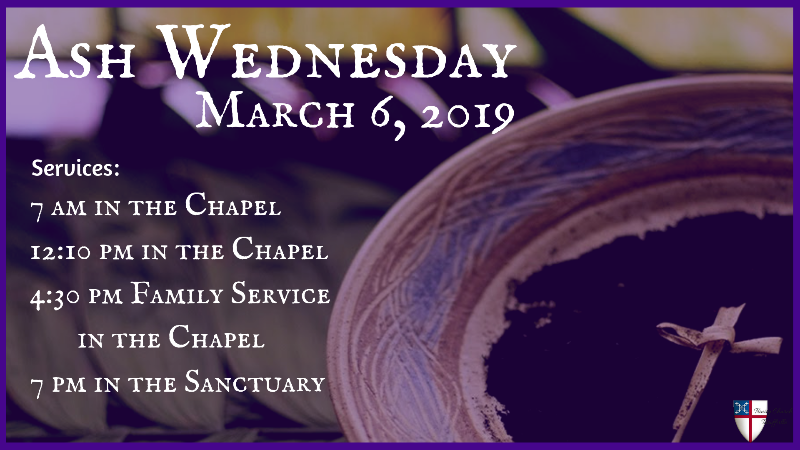 Ash Wednesday Family Service- Today at 4:30 in the Chapel is the Ash Wednesday Family Service. 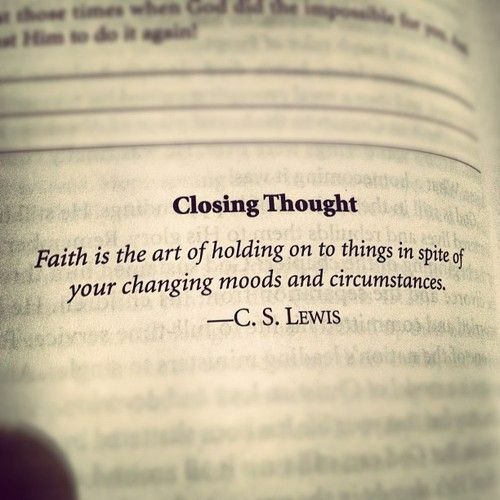 Or if you can’t make that one there is a larger service at 7 pm in the Church. The one at 4:30 will be more hands on and active to keep the kids engaged. The one at 7 pm will be a more traditional Ash Wednesday service. Sunday School- DIGG Church this week. Youth Group- MSYG and SHYG are both going to meet after church. We are going to play a few games, then do a quick lesson and split up for discussion time. I also encourage everyone to go to Evensong this Sunday at 5:30pm for a time of quiet reflection, readings, and song. ​Paint Nite- we need you to sign up for our Potluck, Paint Night, Fundraiser on Saturday March 2nd from 5:30-8 pm. You can sign up for this event online at this link: http://bit.ly/TCTVillePaintNite​ Or sign up in the Narthex. Manda will purchase your tickets through the website, and you will need to bring a check to church. OR If you are not able to come you can always sponsor a Ticket! There are a number of young adults who would like to come but just can’t swing the cost of a ticket. You can sponsor one of them! Just let Manda know. Any Sponsor tickets that are not used will be donated in full to the Youth Fund. Also, Paint Nite has changed its name to Yay Maker. If you choose to purchase your own tickets, the website will look a little different, but do not be alarmed, it is the right website.